• A scaling rectangle appears if your drawing is flat. 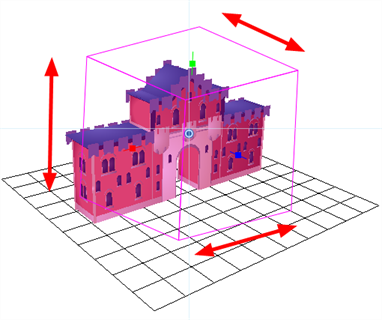 • A scaling cube appears if your object has some rotated layers around the pivot points, indicating the different axes. 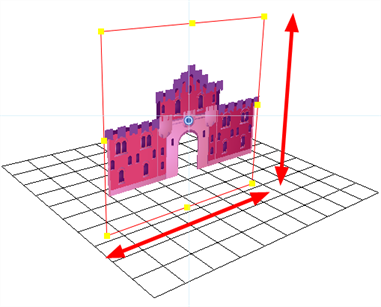 Click on one of the three control points to scale the shape on one axis. Hold down the Shift key to scale the object proportionally. Once the control point is selected, it will turn pink. If you move the layers in the Perspective view, it may be difficult to control the motion since you may not have the optimum point of view on your stage to understand the setup.